This two day / overnight course is designed to fine tune your paddling skills and take you into the exciting world of overnight kayaking trips. A camping based program to learn the skills needed to plan and carry out an extended kayaking journey on Tasmania's beautiful waterways. 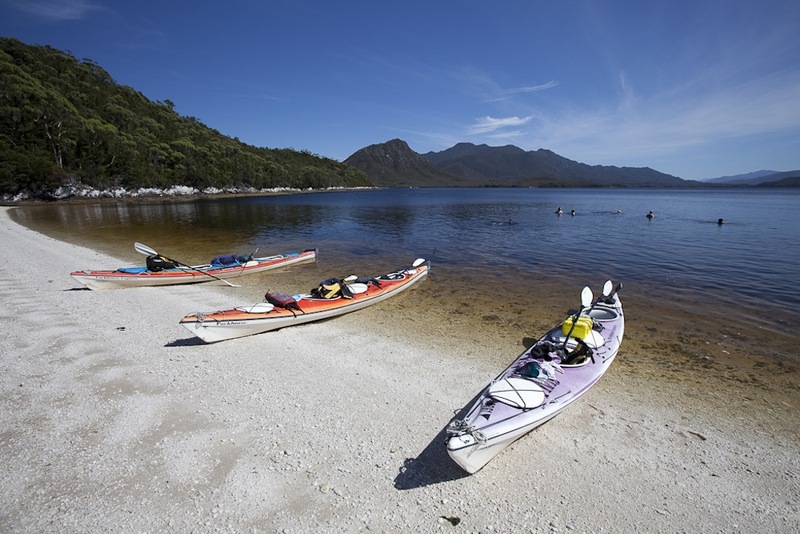 With a mixture of "on the water" and beachside instructional sessions get to put into practice the tips, tricks and skills used by Tasmania's kayak professionals. So if you have been wanting to get out there on an overnight kayak trip but haven't been quite ready this is the perfect opportunity to learn in a safe and controlled program. We can supply all kayaks and equipment needed for on the water but recommend using your own sea kayak to get the most out of the weekend.